1) Regular meetings and conference calls for member states and Affiliate Members/ stakeholders impacted by electronics recycling laws. A governance body consisting of voting state members will determine the direction and projects for the ERCC. 2) The ERCC serves as a central clearinghouse of vital data needed in virtually every state implementing electronics recycling laws. Data include key information such as covered manufacturer contacts, bankruptcy history and company status changes, collection volumes, market share, and return share by brand. Membership includes full access to the Brand & Manufacturer Tracking Database, a helpful tool for all states with electronics recycling legislation or for any states considering it. 3) The ERCC will pursue joint research activities and acquire high cost items such as market share data at a lower cost than each state could do so individually. 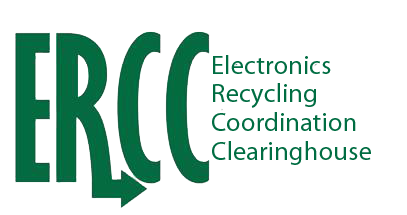 If you are interested in becoming a Voting Member of the ERCC, contact Lynn Rubinstein at lynn@nerc.org. If you are not a state with electronics recycling legislation, but would still like to be a member of the ERCC, find out more about our Affiliate Membership by clicking HERE.